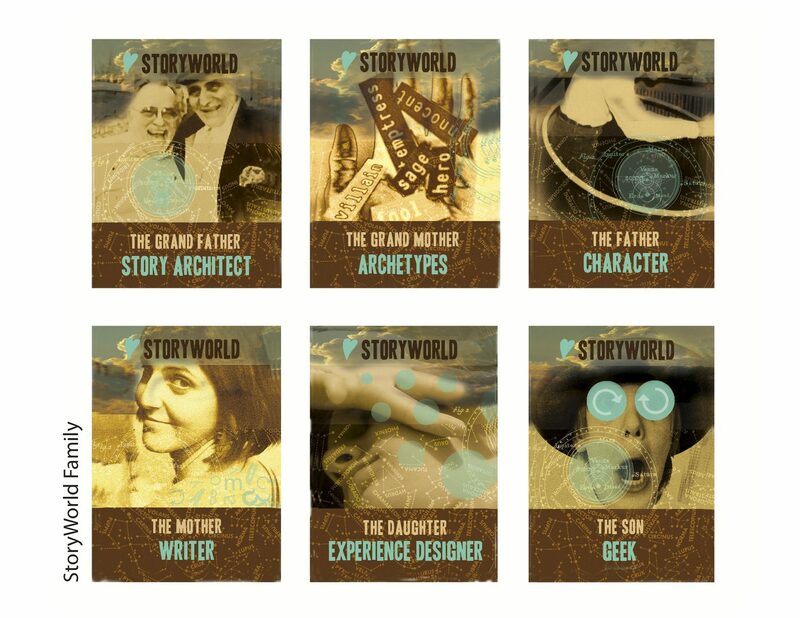 The Storyworld is the universe of an enlarged story based on a synopsis and narrative framework. It encompasses all possible ramifications and constitutes the depth and richness of a transmedia creation, campaign, project or experience. We take into account the users’ habits, needs and expectations. The analysis of the user behavior is essential to the design process and the production. Careful integration of user knowledge and practical usage in the making of the interactive experience empowers users to generate their own creative content. A transmedia experience is meant to be lived, albeit virtually. Both the staging and the artistic directions enliven the experience. The members are translating the visions of the creator into images, apps, graphics, sounds, video and all other necessary forms, bridging the gap between reality and imagination. The game mechanics and the narrative are intricately linked. Not only do the game mechanics encourage and engender user interaction, but they also speak to the spirit of creation and engagement that characterizes the project. Digital platforms and all “mediaforms” can be integrated into transmedia experiences, creation and production. Mediaforms encourage users to explore different territories. Some are easily accessible, some should be in real life, and others can put even the biggest geek into a passionate transmedia storyworld. But technology still isn’t the most important character, guess what? Story is more important. Finding its roots in the creative industry, a transmedia project is ad-hoc and is meant to be reinvented and reconfigured. Its greatest challenge is thus accommodating diverse contributors and users in the hopes of finding a project that promises sound financial return. Professionals from creative industries and their respective organizations work hand-in-hand with collaborators in the conceptualization, the management, and the production of a transmedia project. Thus we are exploring new methods of collaborative work. A Card Game? A Coaching Tool? A very slow Alternate Reality Game or just a Serious Game ? 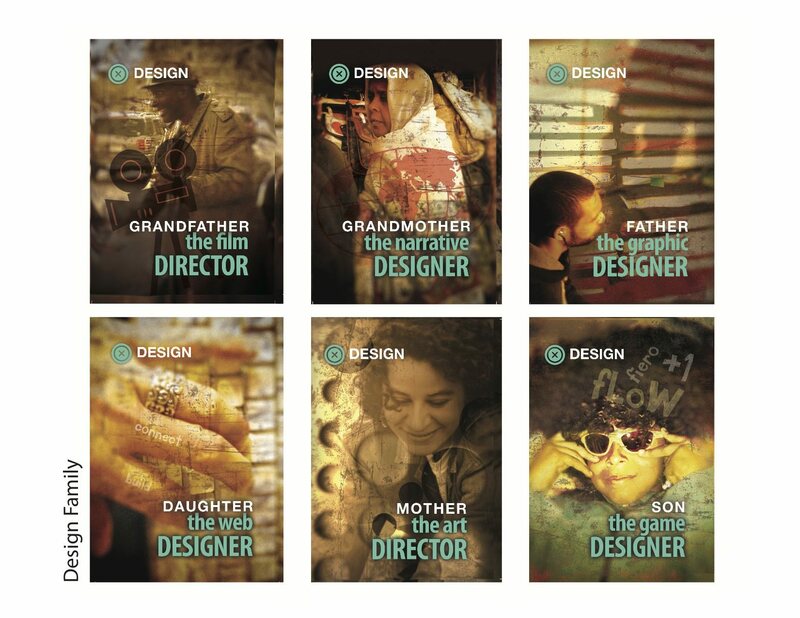 The 7 Transmedia Families propose professional roles within the design of a transmedia campaign, creation or experience. 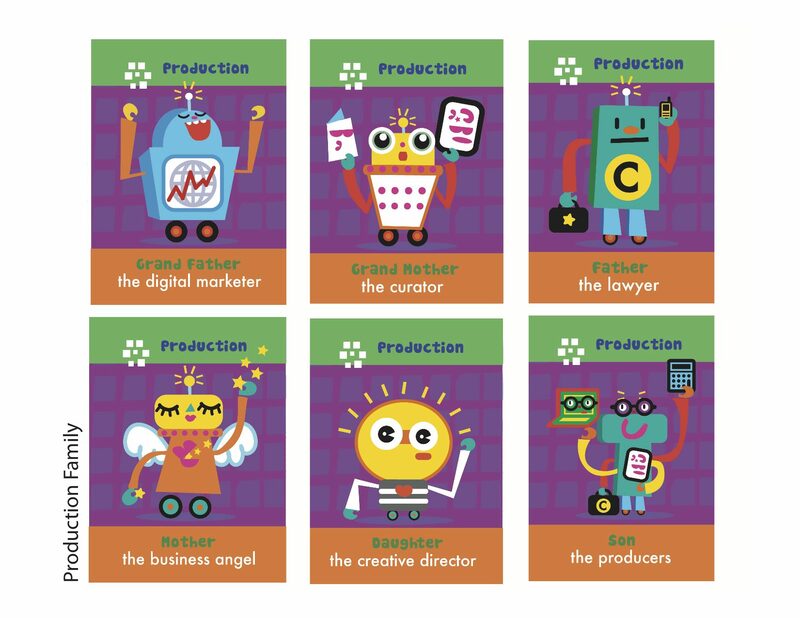 A total of 42 cards and roles to co-design, co-create, co-produce. 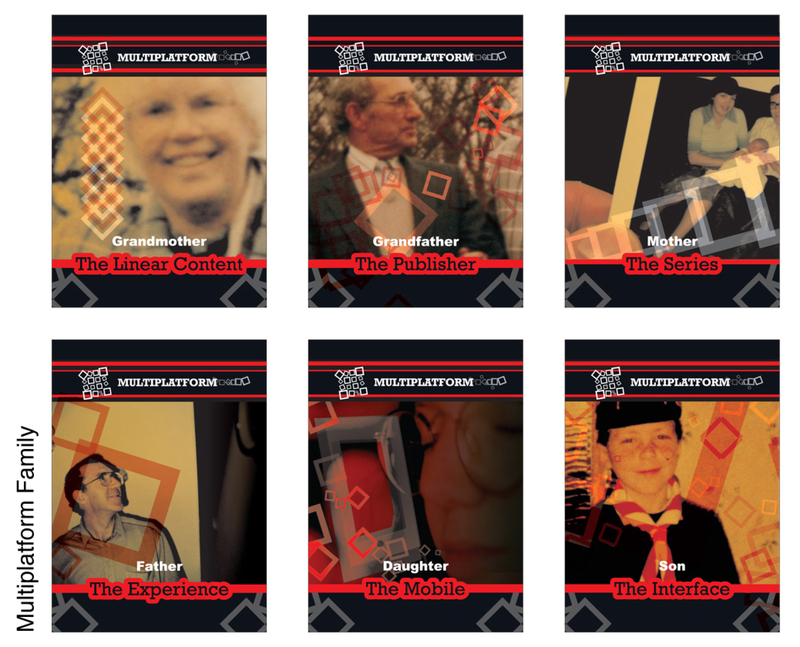 The serious game raises awareness among practitioners and thinkers about the concepts and methodologies for transmedia creation and design, online and offline communication, design thinking, co-creation and communication strategies. It features ideas for optimising a project from conception to activation. 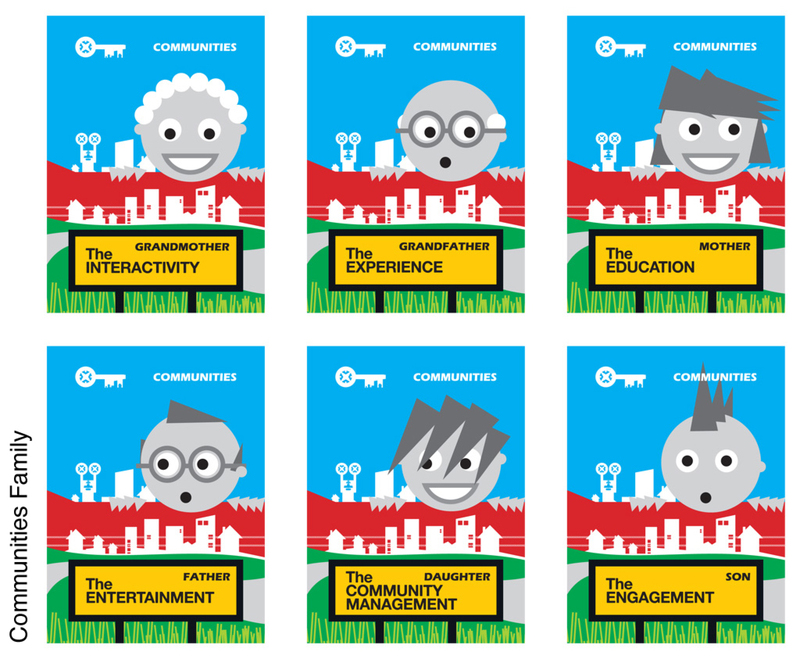 It is a fun thinking tool aimed at everyone who plays, or want to play, a role in content production process. The game contributes to develop creativity and expertise. In 2014, we have experienced a proof of concept with the Institute for Research and Innovation of the Centre Pompidou. An ebook is going to be published here as the feedback of this extraordinary collaborative and long term event (stay tuned!). 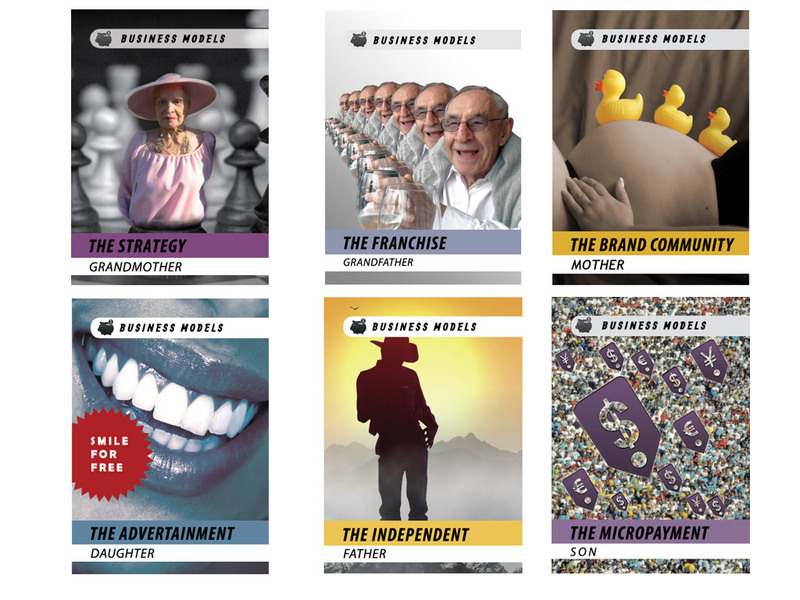 We are now looking at creating the new version of the game for commercial use so you can buy your own deck of cards and workbook to hack and transform your creative marketing campaign and all projects. GUIDELINES are to be re-invented by you as well! They see the scope and scale of a multi-platform production and creation using associated MEDIAFORMS. They gain insights developing a project with a creative approach. They better understand how to coordinate the collaborative work, understand the concept of TRANSIENT GROUPS and generate better practices. 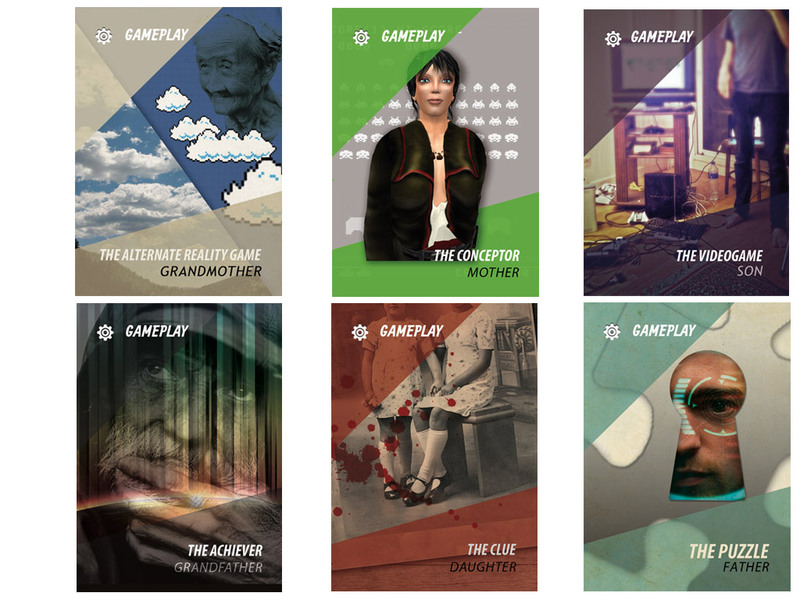 The card game feature 7 Transmedia suits, or topic, of 6 family members, or characters: 2 grandparents, 2 parents, a son and a daughter. Example: in the StoryWorld family, I am looking for the Mother, and the Mother is the Writer. The goal is to collect and match complete families of 6 and show them to the other players, the team. But, of course, we propose much more… The game is designed for a small group and works also for a larger group as players can pair up in multiple teams and change roles along the ride. It sounds like Rummy or Go Fish without the fishing… Deal all the cards to the players (no card left with the dealer). The player to the dealer’s left takes the 1st turn. Play continues clockwise. To take a turn, a player asks another one of his choice for a specific card, naming the Family and the Character. But in order to do so, he or she must hold at least 1 card of the same family. Example : In StoryWorld, I ask for the Son. If the asked player has the requested card in his hands, he or she must give it away. If not, he or she says, “not in production”. Next turn. Play continues until someone collects a complete family and is ready to use it to pitch a transmedia project. The same card can be requested again by any other player, and so on… It is very important to give attention to the collaborative play: use your memory, your sense of observation and details, find out where are the “skills”, thus the missing cards. There is a variation where the players save cards for a pile. Many variations will then help to develop the conceptual approach of the game as an educational and training tool. Example: add a quiz for each card. Sequels and digital applications of the game are planned, our work in progress includes the new version of the cards with artist isabel chiara and a glossary.